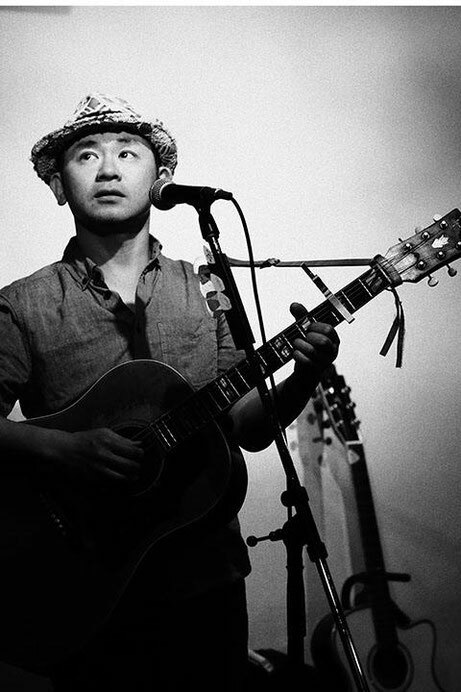 Taniguchi Takashi is a singer-songwriter with a sometimes sensitive, sometimes groovy, always remarkable high toned voice. Born in the Saga prefecture of Kyushu, Japan in 1973, he was raised in Fukuoka, Japan. His first single, “The Renaissance Man”, from King Record Company, debuted in 1997. Since then he has released 6 CD singles and 7 albums. A solo acoustic guitar performer for several years, he became a Soba chef, and, subsequently, silent as a singer for about a year and half. However, his passion for live performance could wait no longer and he finally came back to the stage in April 2015!